*WISDOM* The fox is often associated with the figure of the trickster, but it can also turn into a teacher providing guidance on swiftly finding your way around obstacles. If you follow the fox wisdom, you may be called to use or develop quick thinking and adaptability. Responsive, sometimes cunning, this power animal is a great guide when you are facing tricky situations. The Wisdom Bracelet includes 15 Bracelets that are fastened together by two bronze clamps. It includes a lobster claw clasp and back chain, making it fully adjustable to fit any wrist size. 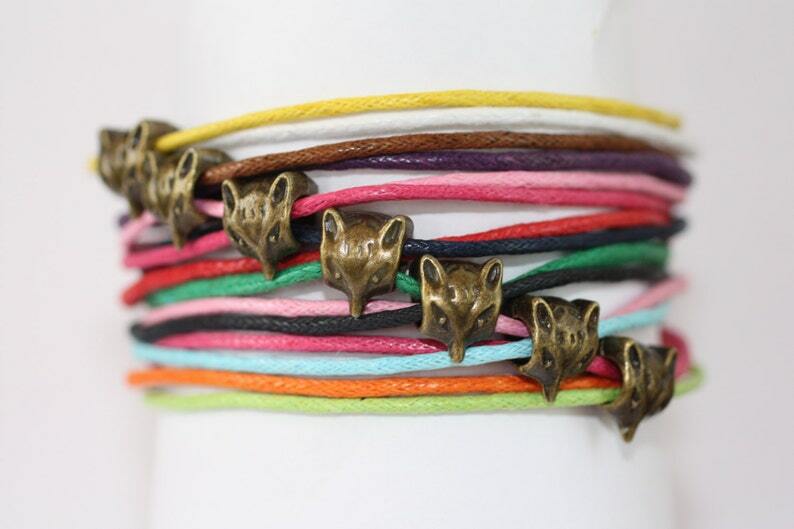 These fox wisdom bracelets is simply PERFECT, and it was quickly shipped! I love this seller!